After getting whomped with work and going through a set of bizarre circumstances (power out, power back but Internet out, etc.) that led to my having one completed podcast in the first ten weeks of the year, I shook the trees effectively enough that now I have so many books and authors in line that I can’t really read anything but the novels of potential interview guests until the fall. 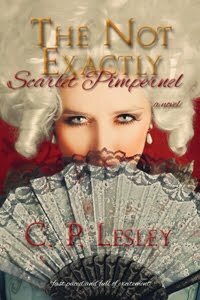 One of the books I pursued during the initial stage of this process was The Magnificent Esme Wells, a historical novel about the early days of Las Vegas. It sounded interesting, and it is: the daughter of a Hollywood starlet and a small-time crook can hardly expect a boring life. But it was when I began investigating the author’s other works that I really became hooked. I discovered that Adrienne Sharp had once been, in her own words, “a ballet girl”—meaning a young person obsessed with dance. From there she turned to writing short stories, then novels, about the ballet world—including The True Memoirs of Little K, which fictionalizes the already improbably dramatic life of Mathilde Kschessinska, star of the Russian Imperial Ballet and one-time mistress of not only Nicholas II but several of his male relatives. 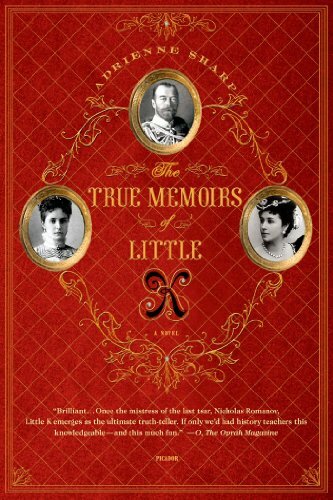 You can find out more about Little K and her views on the imperial family, the Russian Revolution, and a good deal more by checking the Five Directions Press “Books We Loved” post, where she is featured as one of my two selections for April. And, of course, Adrienne Sharp and I discuss Kschessinska at some length in our interview. 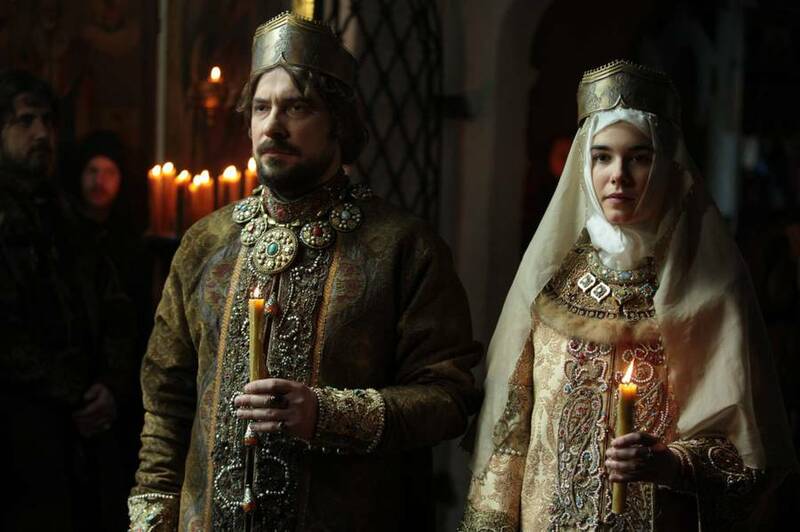 It’s not everyone who can manage to fall foul of the Russian government more than a century after first making eyes at the future tsar. But we do also spend a good bit of time discussing The Magnificent Esme Wells, with its directors and producers, its line dancers and burlesque dancers, its gangsters and its cameo portrayals of Clark Gable, Mickey Rooney, Busby Berkeley, Judy Garland, and more. We had a great time talking about these things, and I hope you will enjoy listening just as much. 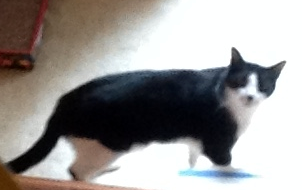 A quick summary of Esme’s life and what you might expect from her story follows. 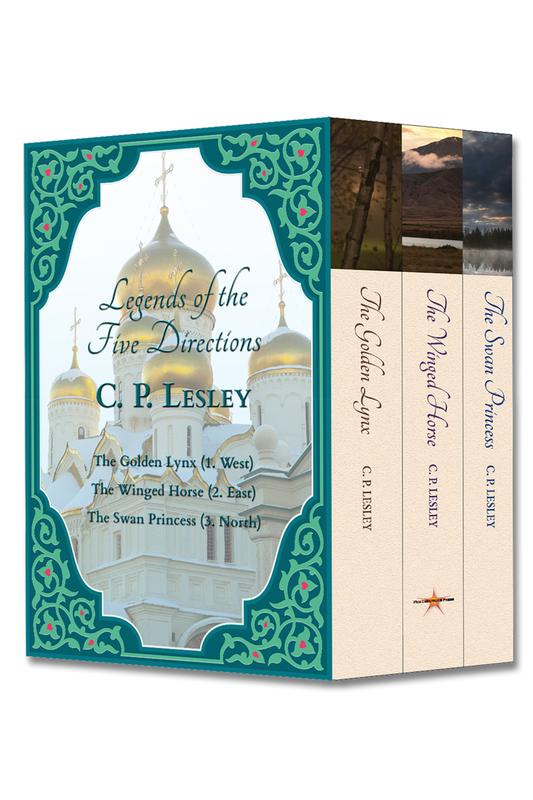 As usual, you can also find the rest of this post at New Books in Historical Fiction. In this amoral universe, where the only unforgivable crime is to steal from the bosses, Esme struggles to find happiness while protecting her father from the consequences of his own shortsightedness. 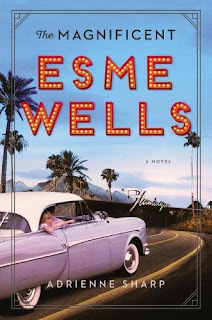 In The Magnificent Esme Wells (Harper, 2018), Adrienne Sharp’s richly evocative prose pulls us into the sun-drenched, money-hungry world of Hollywood and Las Vegas in the 1930s and 1940s, with all its heroes, villains, and people just trying to get by. The consequences of the resulting clashes of personalities and ambitions will haunt you for days. 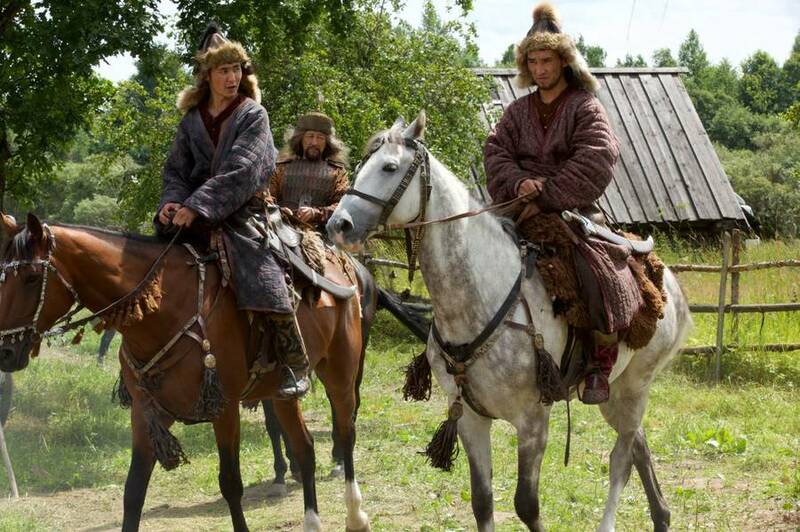 This has been a strange year for historical fiction, at least as it relates to my podcast. After five years of ranging over as many time periods and regions of the globe as possible, I find myself staring in somewhat befuddled manner at a roster that consists almost entirely of US history and novels about World War II. How that came to be I am not sure—certainly not by intent! But so it is. This statement is not intended to reflect on the novels themselves, most of which are excellent. Today I’m discussing Steven Hartov’s The Soul of a Thief, which I also picked as one of my two Books We Loved selections for April (I will feature the other selection next week). As Hartov explains in the written Q&A below, his novel, released just this past Tuesday, explores the little-known phenomenon of soldiers with mixed Jewish heritage who fought for the Third Reich. But I will let him explain the details. 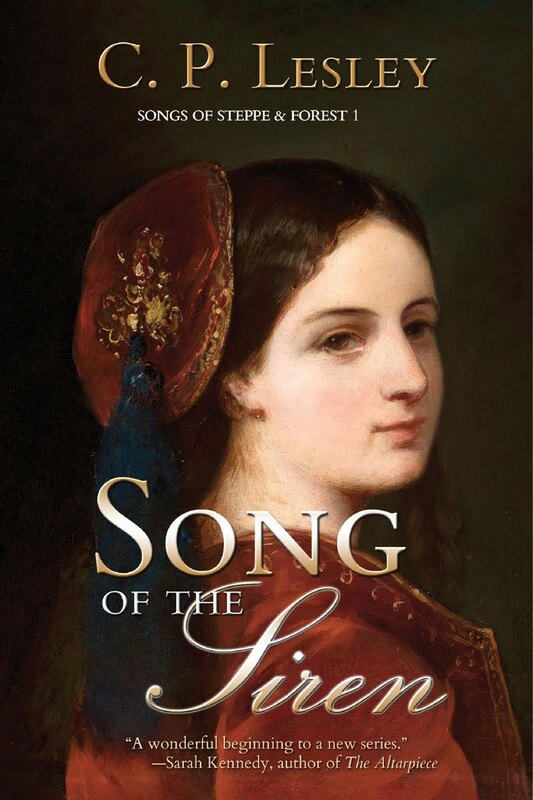 My thanks go to the Publicity Department at Hanover Square Press for both the book, intended for a New Books in Historical Fiction podcast I couldn’t fit into my schedule, and the Q&A. I would have sent Steven Hartov questions myself, but they would have been the same questions, so why force him to type out the answers twice? 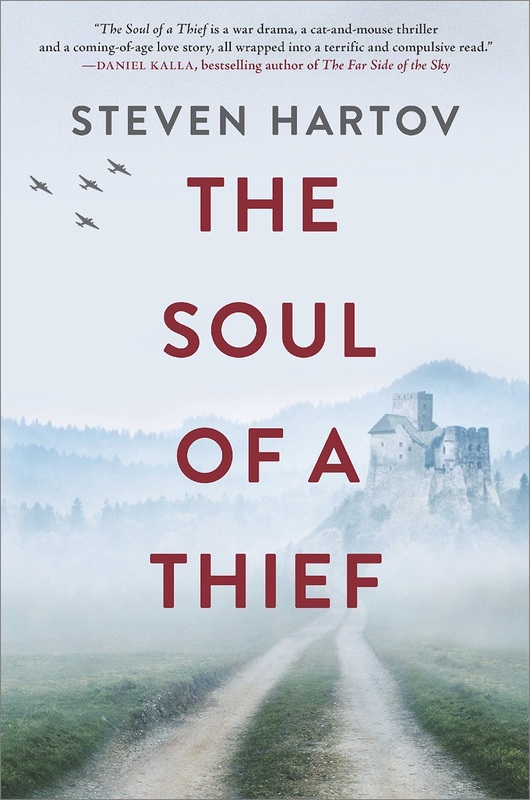 The Soul of a Thief is an adventure, a war story, a romance, and a coming-of-age novel—all set during the year of the Allied invasion of Europe during World War II. The story centers around a nineteen-year old Austrian boy of partial Jewish heritage, Shtefan Brandt, who finds himself as the adjutant to a colonel in the Waffen SS, Erich Himmel, and must not only protect his potentially mortal secret but survive the horrors of combat. To add to his conundrum, our young hero also falls in love with Colonel Himmel’s young French mistress, Gabrielle Belmont, who is also of “questionable” heritage. When Shtefan discovers that Himmel intends to escape from Germany’s inevitable defeat and enrich himself by robbing an Allied paymaster train, the boy plots to betray the colonel by stealing both his mistress and his fortune. 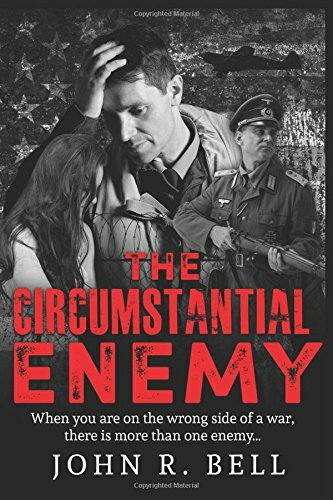 Much of the inspiration for the story came from my own background, as my mother and her family were all Austrians, some of whom, although Jewish or partially Jewish, served in the Austrian or German armies. However, the driving force behind the novel came from a recurring dream that I used to have as a child; it is a scene that figures prominently in the book. 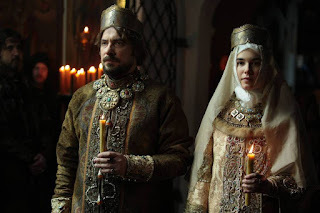 The Mischlinge were Germans or Austrians of “mixed” heritage, meaning that somewhere in their ancestral backgrounds persons of Jewish faith had married into the family. During the Nazi era, German and Austrian citizens had to prove their “racial purity,” and Mischlinge were considered to be Jews and persecuted as such. However, exceptions were made in accordance with the requirements of the Nazi war machine, and many such persons were allowed to serve. For those who survived, such service was regarded as shameful, which is why very few of them have spoken out about their wartime experiences. Shtefan is based, in part, on my great-uncle Alexander, who served in the German Luftwaffe until he was discovered to be a Mischling and sent to a concentration camp. Colonel Himmel is based on a figure who used to appear in a recurring childhood dream; I do not know his origin. Many of the other characters are compilations of soldiers I have known personally, of various nationalities (soldiers are very much the same, everywhere). 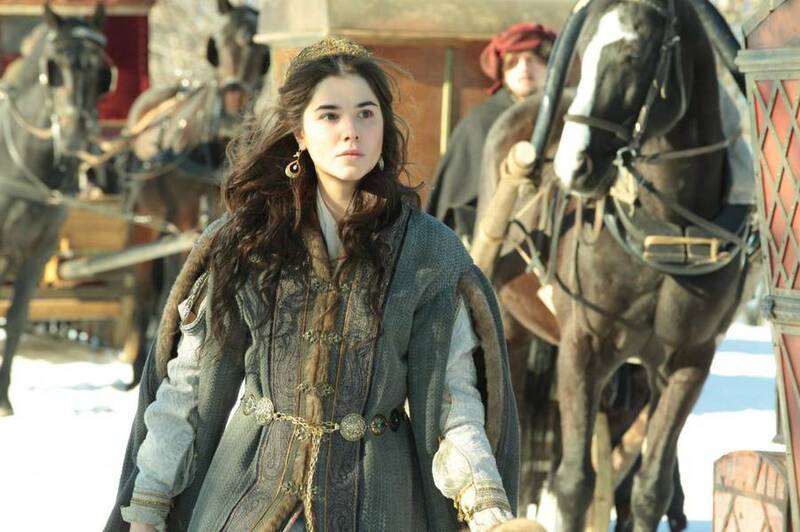 Gabrielle is based on a long-lost love. I would not classify the novel so much as a war story, but rather as a story that takes place during a war. 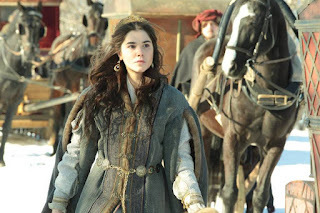 I view it more as a coming-of-age adventure with a powerful romantic essence. And perhaps that’s why I liked it so much, even though war is really not my usual cup of tea! 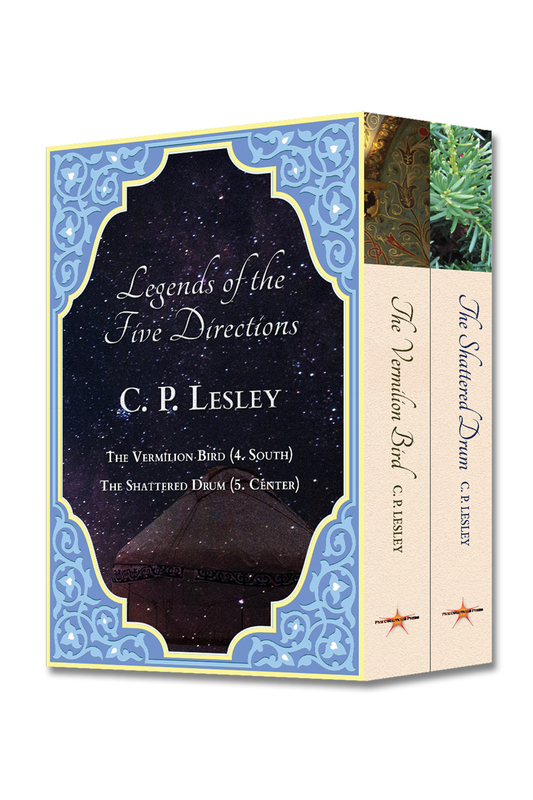 Thank you again, to Steven Hartov and his publisher, for this opportunity to travel a fictional path I normally would not take. 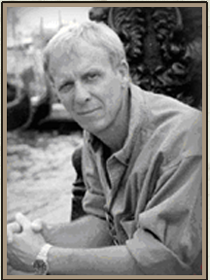 Steven Hartov, a former member of the US Merchant Marine Military Sealift Command and the Israel Defense Forces Airborne Corps, is the author of, among other works, a series of espionage novels nominated for the National Book Awards—The Heat of Ramadan, The Nylon Hand of God, and The Devil’s Shepherd. He also writes screenplays and nonfiction. Hanover Square Press, an imprint of HarperCollins, published his The Soul of a Thief on April 17, 2018. Find out more about him at http://www.stevenhartov.com.